Take Action Today! New Jersey sportsmen and women should contact their state senator and ask them to vote NO on Senate Bill 3537. The courts have already decided that the Fish and Game Council’s current membership serves in the best interest of preserving and protecting New Jersey’s wildlife. 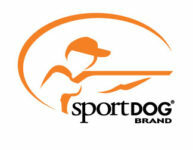 New Jersey members can find their state senator by using the Sportsmen’s Alliance Legislative Action Center. New Jersey’s most notorious anti-hunting legislator has authored legislation allowing animal-rights groups to influence hunting regulations. The New Jersey Fish and Game Council approves hunting and fishing seasons and bag limits. Currently New Jersey governors appoint 11 members to the council, six of which must be nominated by the New Jersey Federation of Sportsmen’s Clubs. Three council members are nominated by agricultural interests. One has a background in endangered species, and one specializing in land management and soil conservation. Sen. Raymond Lesniak (D-Union), who is the author of most anti-hunting legislation introduced in the New Jersey Senate, has introduced Senate Bill 3537, which would replace three sportsmen members of the New Jersey Fish and Game Council with members of the Humane Society of the United States, the Sierra Club and Animal Protection League. Lesniak, a longtime opponent of the state’s bear hunt, has clashed with the council, which approved the bear hunt in response to an increase in dangerous encounters with the state’s uncontrolled bear population. SB 3537 has been assigned to the Senate Environment and Energy Committee. The New Jersey Fish and Game Council traces its roots back to the 1940s when it was created to help provide a system for the protection and conservation of fish and game while serving in an advisory capacity. In 1974, HSUS and other animal rights organizations filed a lawsuit claiming that they should be granted membership to the council. However, the Supreme Court sided with sportsmen’s argument the provisions in place were sufficient for the protection and conservation of wildlife.